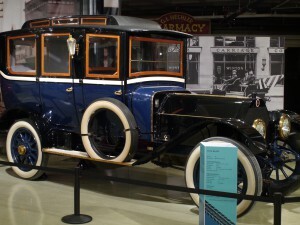 This theme includes early designs from Karl Benz, automobiles in mid-transition from the horse carriage, and even some of the first luxury vehicles so that visitors can explore a variety of the earliest automobile designs. 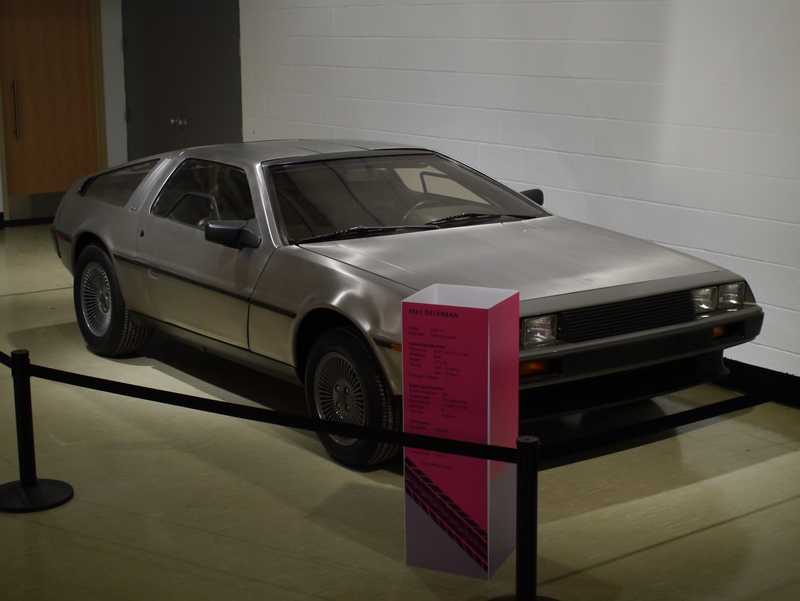 In contrast, more recent concept vehicles also reside in this section of the exhibit. Initial prototype designs are found to be entirely different from the final production vehicles that can be seen on roads today. The one component of automobile design that has existed from the start is the tire. For centuries, automobile makers have been using techniques to develop smooth tires, tires that grip the road, or those that might produce better gas mileage. Hybrid automobiles have introduced an entirely new way of thinking when it comes to the power behind an operating vehicle. Early automobile designers were unclear on what kind of fuel would propel their vehicles. Today, the options for fuel seem endless. 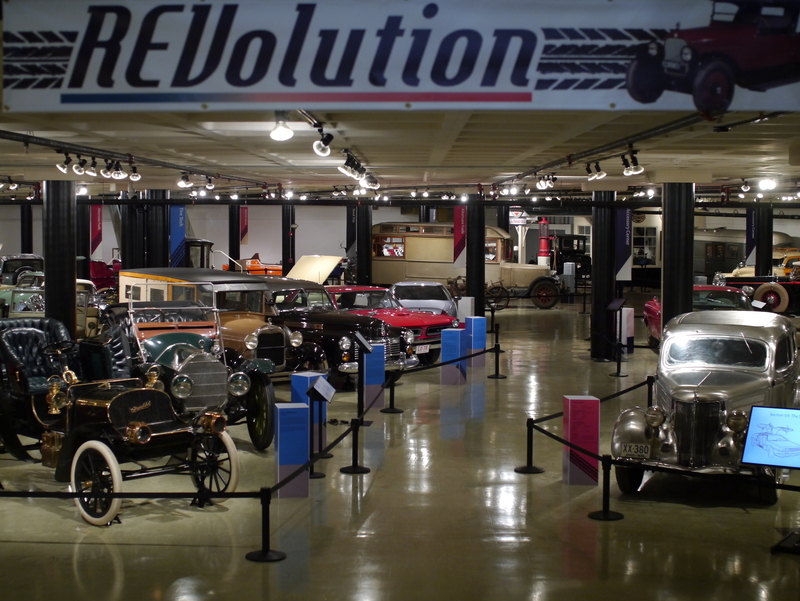 On display in this section are examples of multiple fuel types and how they affected the transportation industry. 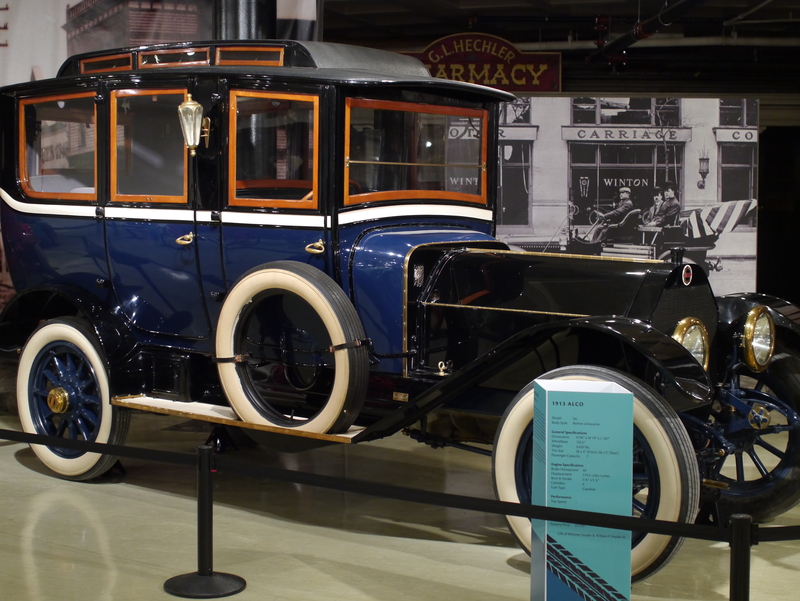 Early automobile makers pushed their vehicles to new speeds to show potential customers the endurance of their designs. In years following Henry Ford, Alexander Winton, and others, there was an increased desire for speed, resulting in races testing the speed of all vehicles, large and small. 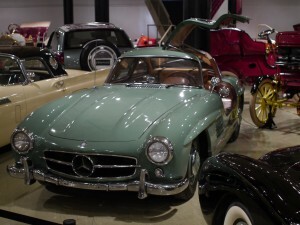 In this section, some of the early sports car designs are on display. Competitions for speed were not the only ones that existed—there were also competitions for distance. 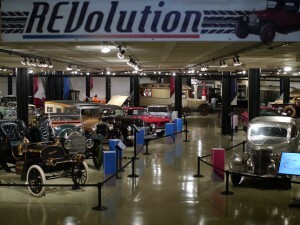 Two of the “around the world” cars are on display in this section of REVolution, as well as an example of one of the earliest recreational vehicles, a Jordan House Car. Modern car owners may not think twice about accessorizing their vehicles with floor mats or bumper stickers. The accessorizing process had a different meaning to early drivers, as most cars did not come equipped with bumpers, air conditioning, or even windshields! This section of the exhibit explores the early car accessories that many drivers today take for granted. Very few vehicles were made out of stainless steel. Why would an automobile maker do this? This question, along with others, is answered in the Stainless Steel section of the exhibit, where four automobiles made out of the material are on display.